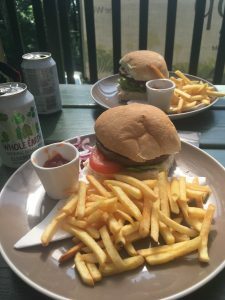 The cafe at this wonderful sanctuary is totally veggie and mainly vegan, including vegan ice creams and cakes! They serve wraps, burgers and hotdogs etc. Nothing incredibly special but it’s decent and great to see that it’s only veggie and vegan! 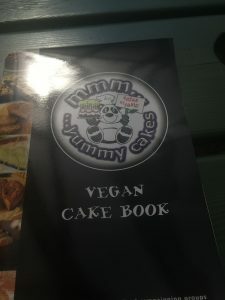 I also picked up a cake recipe book!